The Secrets to Ultimate Weight Loss: A revolutionary approach to conquer cravings, overcome food addiction, and lose weight without going hungry | The Change Cookbook: Using the Power of Food to Transform Your Body, Your Health, and Your Life | The Whole Foods Diet: The Lifesaving Plan for Health and Longevity | The Cheese Trap: How Breaking a Surprising Addiction Will Help You Lose Weight, Gain Energy, and Get Healthy | The Engine 2 Seven-Day Rescue Diet | The Pleasure Trap | Alive! Working at Whole Foods had been good to Milan Ross. It not only allowed him to earn a decent living but also provided his family the medical insurance his family so desperately needed. But it wasnât until Milan was offered the opportunity to attend Dr. Stollâs Immersion program that his life totally changed. 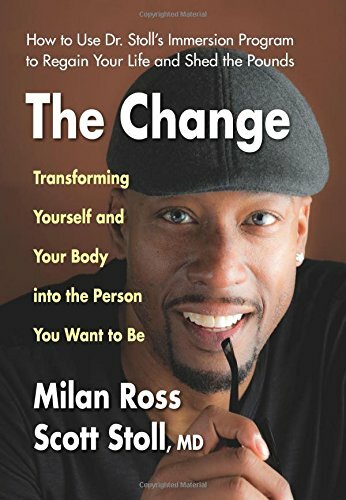 This is the story of how Milan Ross lost two hundred and twenty-five pounds of excess weight and found the passion his life had been missing. Since 2010, Dr. Scott Stoll, a medical doctor and past Olympic athlete, has conducted a week-long intensive health program. The seven-day course provides the most up-to-date information on nutrition, achievable exercise, and culinary education, as well as encouragement, coaching, and vision casting. While food is the centerpiece of the program, it is meant to be a transformational experience that forever changes the attitudes, habits, and lives of those who attend the programâall in just one week. It was to this program that Whole Foods sent Milan Ross. About: Working at Whole Foods had been good to Milan Ross.